It was hard to fall asleep last night. My head was reeling with ideas from the first day at Ypulse. 1. Congrats to Mike Roberts – who won the Totally Wired Teacher Award. He delivered a video acceptance speech showing just how he has adapted to the technologies kids are using and now incorporates that into his teaching methods. Bravo. We did a study on Tech and Education that was fascinating. If you are looking for more ways tech can be used to teach or help kids learn, check out this webcast and ping me if you want to know more. 2. Bill Carter from Fuse Marketing once again hit a home run. His new study on teens and advertising highlighted some of the facts and fiction running amok in marketing departments worldwide. Most interesting – kids like print advertising! (If you lived at my house, you’d know that was true!) We recently did a study on tech devices and advertising for the Market Advantage Youth Lab – here’s a quick synopsis if you want to see what we learned. 3. The Ypluse Advisory Board was a hoot! Using a great format – commenting on the juxtaposition of competitors’ ads (Pepsi vs Coke; Mac vs PC; and two public service ads). We get asked a lot if our teen panelists really tell us the “truth” when we ask them questions and we always say, “oh yeah – they don’t hold back.” That was true yesterday – the panelists did not hold back! Candid, funny and unedited, they easily commented on what did and didn’t work in the ads. Our guest bloggers – teens from our panel – do the same. Want to see an honest point of view? Check out their blogs here. Guess it’s time to get dressed and get downstairs for another great day. 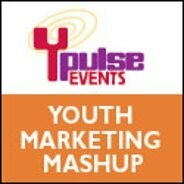 You can follow the Tweets at #ypulse09 – check it out – we wish you were here!